For most of us, jewelry is just jewelry. It's an accessory (or two or three or six) that we add to whatever it is we are wearing. However, some jewelry is WAY more than just an accessory. Some pieces have an immense history and value all their own. Owning them is a status symbol akin to wearing a crown or purchasing a private island. One such piece of jewelry is the "La Peregrina" pearl. It's arguably the most famous pearl on the planet, and it was last sold at auction for a record-breaking $11.8 million in 2011. 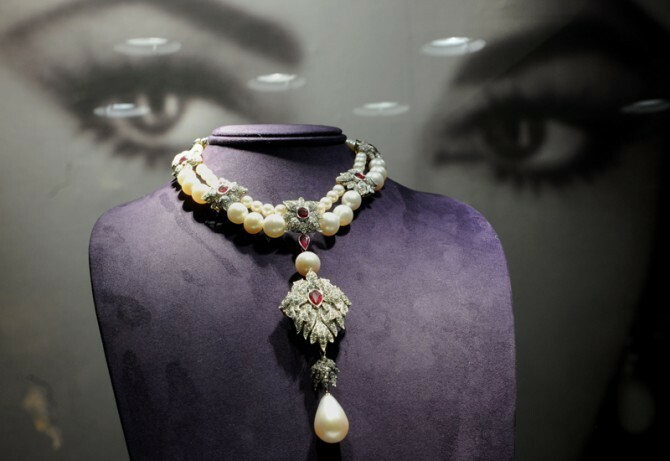 Part of that hefty sale price might have had to do with the pearl's most recent owner, one Oscar-winning actress named Elizabeth Taylor. However, La Peregrina was famous before it became the possession of one of America's most famous personalities, and its fascinating history only makes its journey into the hands of Elizabeth Taylor even more dramatic. The pearl that would become known as "La Peregrina," meaning "the Wanderer" or "the Pilgrim," was found by an enslaved African forced to work off the coast of the isle of Santa Margarita in the Gulf of Panama, sometime in the mid-16th century. The pearl was subsequently turned over to Don Pedro de Temez, the head of the Spanish colony in Panama at the time. It was the largest pearl anyone had ever seen. It weighed 223.8 grains, approximately 55.95 carts, 11.2 grams. Realizing just what he had in his hands, Temez carried the pearl to Spain personally, and gave it to the future Philip II of Spain. Philip gave the pearl to his bride, Mary I of England, who wore the pearl in a brooch until she passed away in 1558. La Peregrina spent the next 250 years languishing amongst the Spanish crown jewels, and was worn off and on by multiple Spanish queens over the next centuries, including Margaret of Austria, Elisabeth of France, and Mariana of Austria. When Joseph Bonaparte was dethroned as King of Spain in 1813, he took some of the crown jewels on his way out, including La Peregrina. It was during Joseph's flight that the pearl earned the nickname, "La Peregrina." Joseph Bonaparte willed the pearl to his nephew, Napoleon III of France, who subsequently sold it to James Hamilton. At the time Hamilton was a Marquess. He went on to become the Duke of Abercorn. Hamilton gifted the pearl to his wife, Louisa. However she had a difficult time wearing it, because the pearl had been set into a necklace and it kept falling out. One night it got lost in the sofa cushions in Windsor Castle. Another night, it fell out on the floor during a ball at Buckingham Palace. It was found both times, but everyone was much more cautious about bringing it out for formal events after that. In 1913, it was re-drilled and reseated, which resulted in a reduction in its size. Its weight dropped to 203.84 grains. The Hamilton family held on to the pearl for more than half the century, but in 1969 they put it up for auction at Sotheby's. 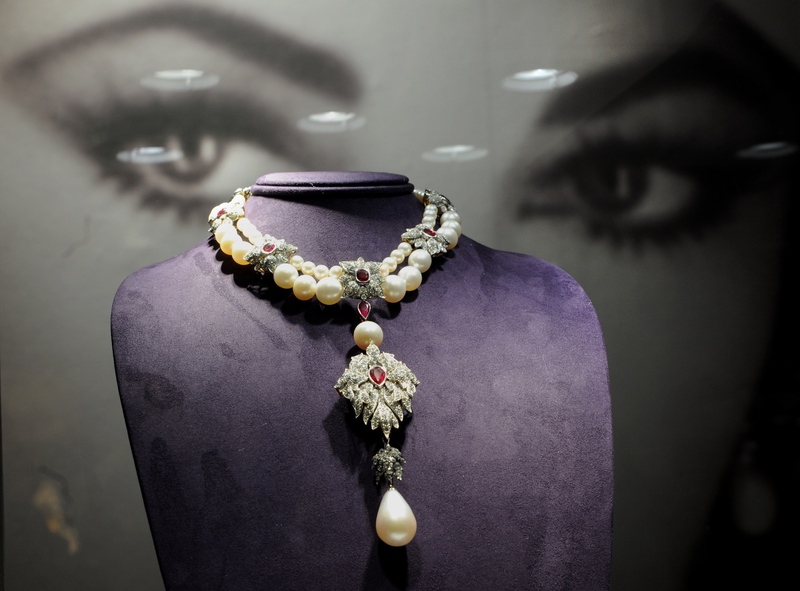 Richard Burton, one of Hollywood's most popular actors, purchased the pearl for his then-wife, Elizabeth Taylor. The legendary Burton-Taylor marriage was one of fiery tempers and creative genius. Their films, shot alone and together, accounted for almost half of all US box office receipts in the 60s. Burton loved the piece and purchased it as a Valentine's Day gift for Taylor for $37,000. Like Louisa Hamilton, she too ran into problems holding on to it. She once lost it while they were vacationing in Nevada, somewhere in their suite in Caesar's Palace. After having a quiet freak out in their bedroom, (Taylor says, "…[I] threw myself on the bed, buried my head into the pillow and screamed"), she eventually found the pearl in one of their puppy's mouths. Luckily, it was unharmed. She subsequently had the pearl reset in a ruby, pearl, and diamond necklace specially designed by Cartier. She wore it occasionally, but in later years it spent most of its time on display, including being featured in the Smithsonian's "The Allure of Pearls" exhibit. Then in 2011, very soon after Taylor's death, La Peregrina was put up for auction, along with many other pieces in the actress' extensive jewelry collection. 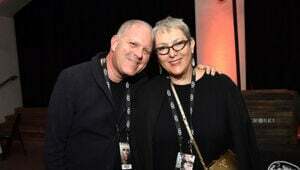 It was expected to fetch close to $3 million. Everyone was astonished when bidding closed at $10.5 million, resulting in a sale price of $11,842,500 after fees. Between the pearl's amazing history, its string of famous owners, and a bespoke setting made up of precious stones, La Peregrina has come a long way from the shores of Santa Margarita. It truly is "the Wanderer." Elizabeth Taylor was worth nearly $1 billion when she passed away, but earning that money took a major toll on her.